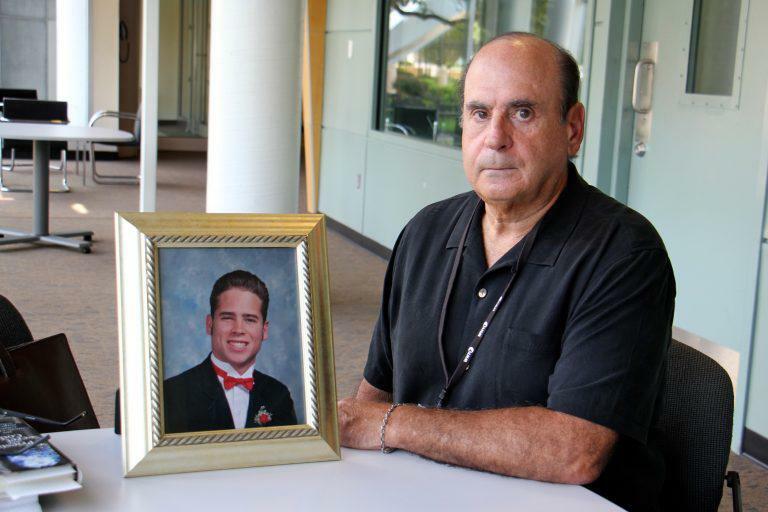 Arthur Baselice Jr. sits with a photo of his son, Arthur Baselice III, who was abused by two Franciscan clergymen in Northeast Philadelphia. Baselice III died of a drug overdose in 2006 at age 28. For years, Arthur Baselice Jr. has been in a self-imposed exile.